Finally an integrated CRM for the australian staffing industry. 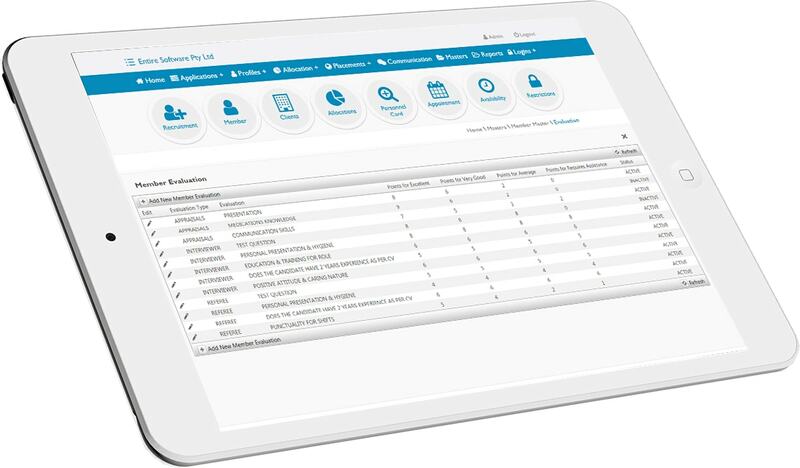 With one integrated system all your financial and operational data can be used as tracking metrics, everything from last booking date, to overdue invoices, total margins and recent oustanding complaints can all be viewed in one screen. Every single contact from your company logged with the outside world. 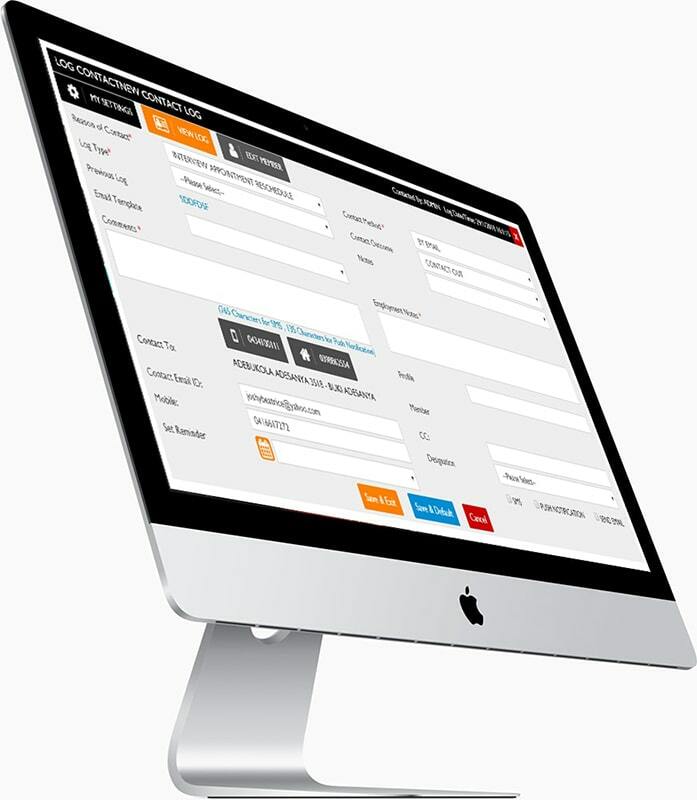 The contact log is a one-stop shop where you can track and report on any contact made through EntireHR. From shift confirmations, recruitment emails, payslips, invoices, or even ad hoc messages the contact log tracks SMS, Push Notification and Email all in one. 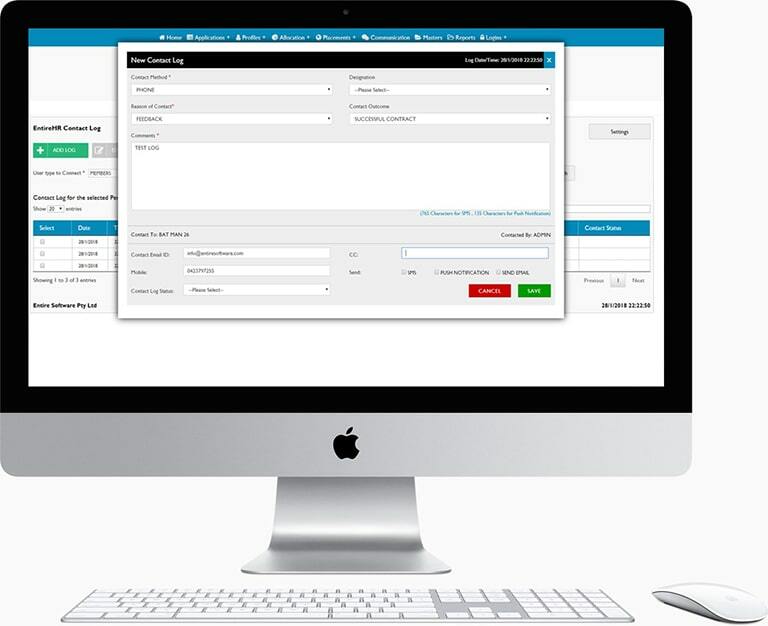 As an all in one system, every new lead created by your sales team is automatically created as a ready made client entry, for bookings and payroll. Once the client comes onboard as a live customer, it’s a simple one click process to activate them, meaning your booking staff instantly know all the special needs and priority of the new client, and can immediately start sourcing appropriate staff. 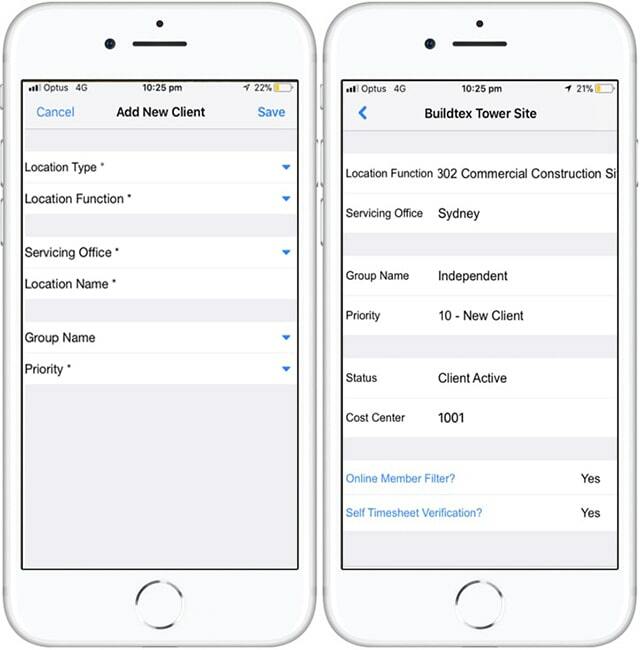 All meetings, information and location details of the client can be logged by sales staff their through internal manager’s apps or a tablet with GPS Check-in once they are on site with the client. 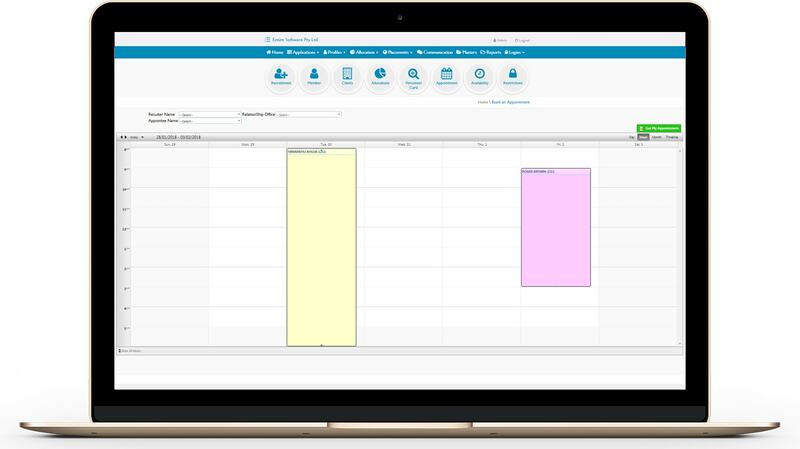 This allows your managers to track the workload of your sales team as every meeting logs automatically to the contact log for reporting and performance management. With custom KPI’s you set the rules and values for the work output of your team. Managed to close a deal by calling the CEO directly? Make that 50 points. Just a short email to a generic address? Sorry that’s only 1 point. Whatever KPI’s are important to your business that require contacting any 3rd party, you can control, create and track with EntireHR.